OD-MD Collaboration: The Future of Eye Care? There is always some tension among professionals in the same field, and the eye care industry is no different. Differences in patient care, clinical tools or even titles like “OD” and “MD” have sparked controversy. Stacie Setchell, OD, spoke about this title turmoil in an article for Women In Optometry. 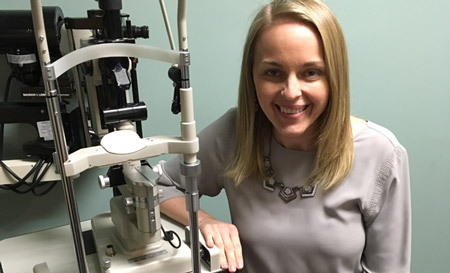 Though there are differences between these two sides of eye care, one patient’s treatment proved to her that optometrists and ophthalmologists can and should work together. A young girl with severe keratoconus sought the help of Dr. Setchell and her colleagues. With her best vision just under legally blind, she had stopped attending high school, and glasses and RGP lenses did little to nothing for her. Both MDs and ODs performed their own tests and evaluations, then Setchell joined the practice’s corneal ophthalmologist to brainstorm the best options for the patient. Recognizing that both skill sets were necessary in their own way, the two devised a plan of action. Fitting the young girl with X-Cel scleral lenses allowed her to be back in school quickly, while a corneal transplant was the determination for long-term relief. This well-rounded approach gave the patient a short-term way to help her graduate high school and a more extensive plan to help her cope with the disease overall. Dr. Setchell explained that the key was the questions not asked by the two, like who should get paid more, who had better education or who would be the patient’s primary eye doctor. They simply worked towards the greater good of the patient, utilizing the skills unique to each side. Through this experience, Dr. Setchell believes collaboration and teamwork is the future of both professions. EyePromise was on the same track as Dr. Setchell, wondering why optometrists and ophthalmologists had not worked together more often. Looking internally, they realized that the company’s own Scientific Advisory Board was without an MD point of view. The top-level minds decided to make an immediate change, adding Dr. Rishi Singh, a medical and surgical retinal specialist, to the prestigious panel. Receiving both the American Society of Retina Specialist (ASRS) Honor Award and the Cleveland Clinic Innovator Award twice, Dr. Singh’s skill, dedication and creative thinking are valued additions to the already impressive board. Like Dr. Setchell’s experience, EyePromise hopes for positive outcomes with future discussions, clinical research, education and, ultimately, the attitude towards OD-MD relationships.